The History of the Queen Anne's War, which was a major conflict during the French and Indian Wars, including details of the cause, reason, and summary. The combatants of the Queen Anne's War were the French, Spanish & and their Indian allies and the British and their Indian allies. The dates and years of Queen Anne's War - when the war started and when the conflict ended. Interesting facts and information about the significance, specific events and famous leaders of the Queen Anne's War. Queen Anne's War Summary and Definition: The Queen Anne's War (1702-1713) is the name given to the second of the series of conflicts and battles in the French and Indian Wars. The war was named after the Queen Anne who was the British monarch at the time of the conflicts. 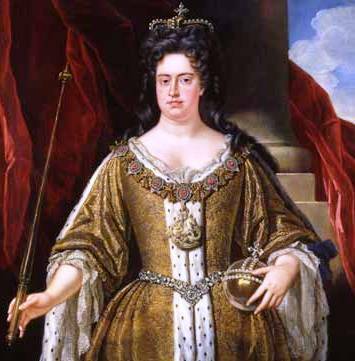 Queen Anne's War was the counterpart of the War of the Spanish Succession in Europe. In addition to the two main combatants England and France, Queen Anne's war also involved a number of American Indian tribes and Spain, which was allied with France during this period. 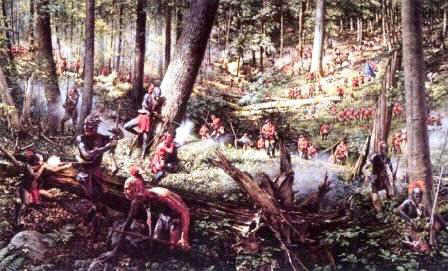 During Queen Anne's War American colonial settlements along the New York and New England borders with Canada were raided by French forces together with their Indian allies during this phase of the French and Indian Wars. The British captured of Port Royal in 1710 that resulted in the French lands called Acadia becoming the British province of Nova Scotia. Under the Treaty of Utrecht in 1713, Britain also acquired Newfoundland and the Hudson Bay region from France during this important conflict in the French and Indian Wars. Famous Leaders in Queen Anne's War: Great Britain was led by Joseph Dudley, James Moore, Francis Nicholson and Hovenden Walker. 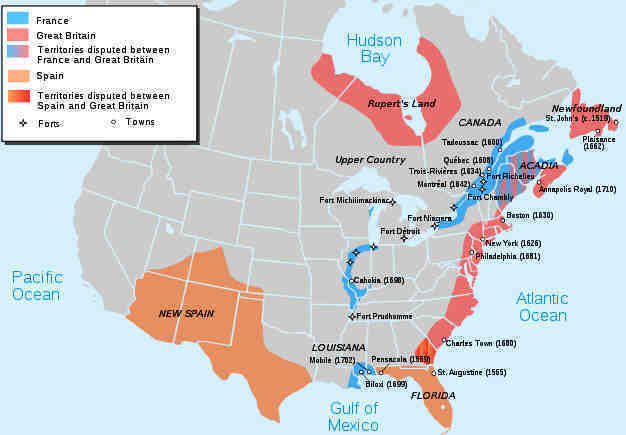 1707 June 1707: The Union between England and Scotland created the 'United Kingdom of Great Britain' and the term British, as opposed to English, is then used in reference to the colonists in North America. 1713 1713 The Treaty of Utrecht ends Queen Anne's War. Under the treaty, Britain gains Newfoundland and the Hudson Bay region of Canada, as well as the Caribbean island of St. Kitts. 1744 Peace prevails until the onset of King George's War (the third in the series of the French and Indian Wars) in 1744. Queen Anne's War. Discover the key years, famous people and events of the Queen Anne's War together with the causes and effects of the war, conflict and battle. Pictures have been include wherever possible which show the battlefield, clothing and weapons of the Native Indian tribes and their leaders who fought in the Queen Anne's War. The illustrated text provides a really useful educational resource for kids and children of all ages. We have included pictures and videos to accompany the main topic of this section - The Queen Anne's War. The videos enable fast access to the images, paintings and pictures together with the information and the many facts featured on this subject of the Queen Anne's War.